Morganite engagement rings make the perfect holiday proposal! We offer many different styles of morganite engagement rings including solitaire, halo, double halo and even diamond accented. With deBebians, your choices are endless! We also offer most of our morganite engagement rings with different center stone options. 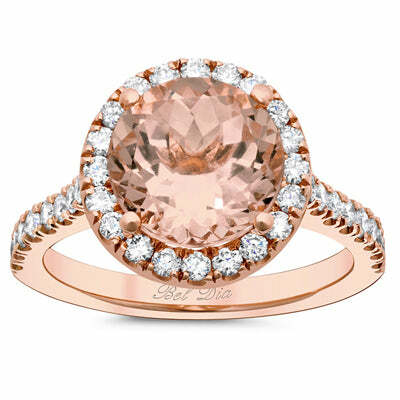 The combination of morganite and rose gold is one of a kind and will surely be a hit! This classic round morganite engagement ring with a round diamond halo is just gorgeous! Here you can choose from two different center stone morganite sizes. Both look really nice and since we manufacture each ring for each center stone, there will be no gap between the stone and the halo. Heart shape jewelry is quite popular and I can see why! 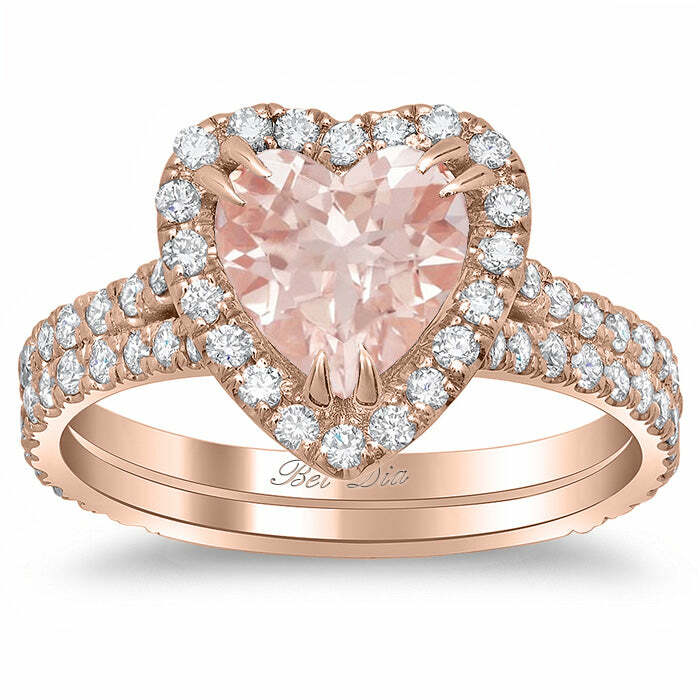 Take this beautiful heart shape morganite halo diamond ring, for example. Women typically love the color pink and anything with a heart shape signifies love. Isn’t this the perfect combination to show her your love? We think so! This is probably my true favorite morganite ring that we offer. The basket underneath the center stone is really breathtaking. The open detailing is very unique. I also love the size of the diamonds around the halo because they are just enough to showcase the peachy pink color of the center cushion cut morganite. Here you can choose from a 2.50ct center morganite or you can go larger with a 5.25ct center. To me, the 5.25ct would be more like a cocktail or right hard ring vs the smaller size which is the perfect engagement ring size. When shopping for morganite engagement rings, be sure to check out our large selection. 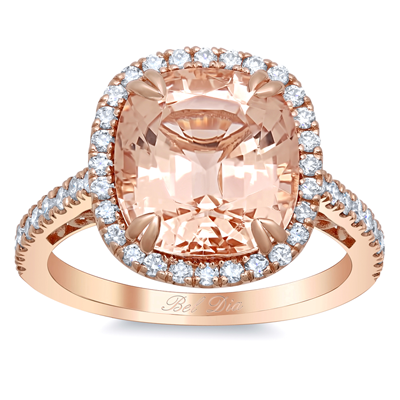 With new styles always being added, you are bound to find the perfect morganite engagement ring. If you are looking to make a custom morganite engagement ring, we can assist you with that too. Happy shopping!